"Dramatic Change in School Culture"
I really love being able to recognize all the students for doing what they are supposed to be doing. I like that the system is school wide and can be tracked. I like the idea of a Hero store where students can receive some small reward for resisting peer pressure to slack off and/or fail. I like being able to give points on my phone, iPad, or computer. The only dislikes I have are related to usability of the software. They really need to streamline the process for giving points. There is also a problem with lag time after clicking the button to issue points. Our business problem was that we had a very large number of students who were very deliberately avoiding going to class and arriving late. Some would literally walk in the other direction when the tardy bell rang. Others would be on the other side of the quad and start walking very slowly towards class only once the tardy bell had already rang. This caused multiple interruptions to classroom instruction. Another problem we had was a sense of disaffection from the 80-90% of the students not causing trouble due to all the attention received by the problem students. Since implementing Hero, I have personally witnessed a dramatic change in the number of tardy students. I regularly see students actually running to get to class before the bell rings. I have also seen an increased "buy-in" from the "good" students and the "fence-sitters" as they realize they will be recognized for doing what they are supposed to even when that one or two are having a melt down. I must say I like it, for all of the years I was teaching 10+... I was more focused on the bad kids, pushing the button, pleading with them to be on task, writing discipline referrals, worried about skippers. THE GOOD KIDS GOT IGNORED AND NO REWARDS. Really the BEST KIDS, JUST SLIPPED BY CAUSE I DIDN'T HAVE TO WORRY ABOUT THEM. With this new Hero system, I get to reward the good kids, the ones that do what they are supposed to do EVERYDAY! And they can see how much I appreciate them for being good, respectful, peer tutors and just all around awesome... PLUS I FIND MYSELF ACTUALLY INTERACTING WITH THESE GOOD KIDS EVEN MORE... WE ARE NOW TALKING ABOUT THEIR LIFE AND DREAMS, FUTURE PLANS, AND COLLEGE...AND I HAVE NOTICED THAT MY PROBLEM STUDENTS ARE TRYING TO STEP UP, because they are not getting my attention anymore!!! THINK ABOUT THAT!... Plus, the students that are following the rules, YOU KNOW, THE ONES WE USED TO IGNORE... are getting rewards from the school. Like special luncheons, free movie passes, and special events. I have started to pay more attention to the everyday "awesome" students who really don't get recognized! I am loving this HeroK12 program! AND FOR ALL OF THE TEACHERS WHO THINK "WHY SHOULD I REWARD THEM FOR DOING WHAT THEY ARE SUPPOSED TO DO?"... I SAY BECAUSE NO ONE ELSE DOES! Need more options for custom points. I would like to give more than 1 or 2 points at a time. There should be an option were a teacher cam make their own custom rewards for their class. The students are also having difficulty recovering their password though their school email (they can only get mail from teachers). There needs to be a way for students to recover passwords without out using the school email system. Allows me to reward students for positive behavior. Gets kids focused on being on task. I like that I am able to monitor the hallway in the morning and give points to students for excellent behavior on the spot with my cell phone. I like that I can track my kindergarteners all week and given them points on Friday by pulling up my whole class. When I track my students at the end of the week I wish I could easily adjust the number of points I give for each student, so I didn't have to do it individually. I would like to change the number from 5 to 4 or 3. I am seeing more students on task and correcting inappropriate behavior when they hear me say that someone else is going to get a hero point. I have also found that I am able to give a point for being responsible by bringing in their homework. "Awesome Program...Needs a Few Tweaks"
I like that students can be tracked for basically any kind of behavior. I also like that we are tracking only positive behaviors at our school because it doesn't make sense to me to deduct points for negative behaviors; we want to perpetuate the positive, so we have to acknowledge the positive behaviors as much as possible. I also like the change in school climate that HERO has brought to our school, and I'm glad that teachers and students are getting more and more involved. I don't like the redemption of points process. I wish we could simply scan an ID, and a screen would pop up to show me how many points that student has as well as the student's name. I would then want a small window to pop up that will ask me how many points I'd like to redeem, and I would simply type in how many points the kids are spending. Right now, the redemption maximum is 250 points. We have some things in our store worth 500, 750, 1,000, and even 10,000 points. There are only two of us who work our store right now, so the two of us have to sit there and redeem points sometimes for 30-45 minutes after the kids leave the store to make sure everything is kept up to date and accurate. I'm sure there is a simpler way to make this process happen. Make sure your Infinite Campus or SIS system already has a data sharing agreement with HERO or Clever because it's very difficult to do manual uploads, and it's time consuming. We are using HERO to track attenndance andnpositive behavior only. The interface is great buy the app is a bit lacking. For example, you have to individually look up a students name to track them and it doesn't give you the ability to have a class pop up. This makes the app a bit useless. It is easy to use and I appreciate that. I bit to limiting in what you can convey and I wish you could link it directly to other applications we use like Skyward. Use it everyday to ensure it becomes partnof your routine. We are able to proactively measure student behavior we want to celebrate. I love that this is something I have been doing all my years teaching and now it's easier and school wide instead of just me doing it alone. This program has made it so much easier to give students positive reinforcement. It's all tracked on the computer and I can just put the tickets up on the screen as the students walk in. They love it. I dislike how the app for the phone is not really that great. It's slow and the scanner doesn't work. Love this! Totally recommend it! The students are coming to class on time, with their ID present and are eager to follow classroom expectations so they can receive points. I like the way you can focus on the positive behaviors in your classroom instead of negative ones. It rewards students for doing the "right thing". Before hero I often focus on the students that where doing the "wrong behaviors" Now with hero its turn the focus of them onto the students that do the right thing all the time and in-turn students that use to get the focus now have to do the opposite behavior "right thing" to get the attention they are wanting. Now that hero has changed a few things that teachers where asking for on the website it has been great, for example you were only able to give one point for one behavior now you can select multiple behaviors at once that students are doing. Students behavior in the classroom has improved as well as getting to class on time. Students want the points so they can get items for the hero store, like game tickets, prom tickets, parking spot, food, snacks, movie tickets just to name a few. The ability to track both positive and negative behaviors. I also like the fact that students are able to see how many points they have accumulated as well as what positive and negative behaviors have been tracked for them. I wish there was a way that teachers could reset students' passwords. The biggest issue we are having is students remembering their passwords. We have had to revoke so many keys because our students are not allowed access to email with their school email accounts so when they forget their password, the only option is to have it sent to their email which they have no access. Maybe if there was another way to reset their password, like maybe them answering some security questions, would be very helpful. There are no business problems to solve. We are using Hero for school issues. I love the fact that our students have the ability to track their own points, and can hold our teachers accountable for the point delivery that we have set up. I do dislike the fact that I have to sync my printer each time I open the app. We are seeing an increase in positive behavior from our students, and a decrease in 1st hour tardies. 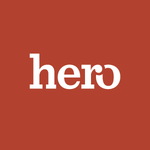 I like that hero is user friendly and helps organize and compile your data. I like the positive aspects of hero as well. There isn't much i do not like about hero. It does have to be a group effort for the school. All faculty and staff has to use hero for it to be effective. I am not on the business side of hero. I like the flexibility HERO provides. Our school can tailor the character traits we wish to reinforce and set it up for all teachers. My dislikes are related to the human factor. Unfortunately, not all teachers are consistent. So, if students are supposed to received HERO points in one class that day, and that teacher does not do it, the child loses out. We all need to be on the same page and buy into this great program. Keeping track of my students' GOOD character traits helps me focus on the positive instead of negative behaviors which is easy to fall into in the classroom with middle school students. "Hero and Positive School Climate"
Hero helps me be intentional about focusing on the positive things happening in my classroom. The teacher app is already great, but could use a few tweaks just to make it a little more user friendly. I am more intentional about focusing on the positive things happening in my classroom, which in turn, makes me a happier person and promotes a much more positive classroom environment. "It's cool to be a HERO"
The students and teachers have a goal to work towards. Students know what the incentives are and they have choice on how they choose to use their incentive points. Also, the students hold the teachers accountable for giving points as promised. I like the atmosphere and excitement that Hero promotes for doing the right things. The initial set-up and having to deal with adding and withdrawing students. Join the Hero Homeroom community and/or partner with another school in your area as it will make the initial set-up a lot easier. Instantly making parents aware of the positive and negative behaviors at school. I like the fact that Hero provides excellent rewards for engaging in their platform. The incentives are a bit spread out and sometimes take a little while to add new ones. Try the product out in your schools, you will not be disappointed! Students are more prone to listen and follow directions in class, when they know that Hero points are being distributed. "Hero is transforming our middle school, one Hero point at a time!" Hero has made such a difference here on our campus! We love the way it has motivated our students work harder and to be kinder! We had a tough time with implementation and getting the initial roll out done in a timely manner. Use it. Aside from what it offers already, The company listens to its customers, and adapts to fit our needs. We are working to streamline our tardy issue with Hero. By finding a way to stay on top of continual tardy problems through Hero, we are able to to spend more time tackling other issues. Hero's biggest impact comes in the ability to give instant feedback to students and parents with a user-friendly interface. The software can be somewhat limiting for users who do not have students directly assigned to them. We use Hero for school-wide behavior management and tracking. Hero helps our staff keep track of struggling students and reward positive behavior. I really like how you can track each students tardies every day and it automatically assigns consequences. I don't like that we can't have two groups of students up at a time. We have certain students on modified plans that we have to change for every consequence. I would definitely recommend this program to any school who wants to use technology more to track tardies as well as positive behaviors. It saves a lot of time having to write passes. "amazing way to encourage great behavior in the classroom"
"Hero in the Second Year"
Implicitly, the effect on the staff far outweighs the effect on the students. Focusing on positive behaviors is a great way to depart from campus. I would like to have checkboxes to select multiple "hero points." Tardies, dress code violations, and ID checks are the diminishing negative behaviors. "Very pleased with the positive incentive program." Hero is a simple program to track positive student behaviors within the classroom. It is very easy to administer multiple students points. I wish it could be linked to our school program Aeries to implement points for attendance but i manage because i understand that there are so many different programs for schools. Purchase this product. It is amazing and the kids love it. Attendance and behaviors are the biggest problem that hero has solved. It has created a decrease in both of these areas. It really incentivizes students—even high school kids! The server can take a long time and there can be a lot of steps to enter points which can be time consuming on a busy day. "The use of Hero for classroom management"
I like that you can give all students recognition on a daily basis and see the difference right away in students behavior. I have not found anything that I have disliked in the program. This program can help to motivate students and you will see a change if teachers get involved, it is super easy to use as well. Helping with classroom management and turning around behaviors in the classroom. "Hero is really quick and easy to use. " I like tracking the kids behavior, and seeing them take responsibility for their actions through the hero program. I dislike the mobile app because I can’t access all of my classes like I can on the computer. It keeps the kids in check. "Behavior Management at it's finest! " I used a token economy in my class prior to our school buying into HERO. Now I don't have to pay out of pocket for the student rewards. Plus, the students really buy into it! It takes a lot of clicks to give points. It gives us a consistency for PBIS. "Easy and Quick Behavior Management and Tracking"
Hero has been great ever since we implemented it at our high school. It has made the students accountable for their actions and the reward system has worked wonders. The students have enjoyed hero and are always trying to get points in class and in between. I like that they have to build towards a goal. Not just instant gratification. That we have to build towards a goal. That not everything can be at that moment. "Hero Helps to Get Students on Task"
I use Hero in my classroom to encourage students to be on time and to be ready to start diving into that day's lesson. The tracking options can be a little bit limited. I am able to encourage students to participate and be responsible in class. The lack of universal implementation amongst staff moments. As a middle school educator, Hero has most definitely assisted me with tracking positive behavior and positive reinforcement. I like that we seen change in our school culture based on students being able to track their Hero Points on a App. Still, need to be more teacher friendly. We're reducing tardies and changing student behavior with hero. I love the rewards they give to students and teachers. Sometimes it doe snot update with our system. Hero is an amazing tool to track students across the school; it streamlines both positive and negative behaviors and attendance amongst all faculty and gives a common tool for information. The app is great, but I wish it allowed you to make comments. You have to be signed in to a computer for that. Students are rewarded with hero points and it is a great tool for incentives in the classroom. the learning curve. It takes a while to fully understand all the features. "Great for incentive and reminders"
app is more difficult to use. The desktop version is easy to use. "Attendance and Tardy Solutions "
The app can be downloaded on a phone to scan ID cards . Also it notifies the user what the consequences are before submitting. The log in process could be quicker. Otherwise I don’t dislike anything. I appreciate how this program motivates students. There is nothing I can think of with regard to dislikes. Purchase this product it is worth it! I like the ease of using the features. I like the ability to choose which behaviors as a school. "We are really at ground level for hero." I like that we can reward students for doing what is right. It is time consuming for a teacher to give students points on top of trying to teach. It is great to promote positive behavior. Getting the students logged in and the teachers who are having trouble logging in. "Positive Rewards - Love it! " I wish there was a way to pull reports per class rather than a whole group. HERO is a great vehicle to build culture in a unified way. The points cap of 250 is very limiting, hope that changes soon. It gives students a cohesive understanding of what our school culture is trying to do! The opportunity to consistently recognize positive behavior. I dislike not being able to adjust some of the reward categories, independently. Use it to help curtail unwanted behaviors within your organization. The app can crash sometimes on the iPad. The app is unstable. Overall, it is ok though. "Great start towards a positive shift in school culture." The ability to recognize positive behaviors. not much! still some features that could be added to be more classroom friendly. But that is just being picky. * We monitor all Hero reviews to prevent fraudulent reviews and keep review quality high. We do not post reviews by company employees or direct competitors. Validated reviews require the user to submit a screenshot of the product containing their user ID, in order to verify a user is an actual user of the product. Hi there! Are you looking to implement a solution like Hero?